​CloudSigma entered into an agreement with Hewlett Packard Enterprise (HPE) at the beginning of 2017 to enable leading IT service providers, data centers and telecommunication operators around the globe to deliver best-in-class cloud services to end-customers. “We are delighted to be working with CloudSigma to bring a Cloud-as-a-Service platform to data centers and telecom companies. Our partnership with CloudSigma and our collaboration through Cloud28+ allows us to help service providers offer world-leading services to consumers around the world.” Xavier Poisson Gouyou Beauchamps, Vice President of Service Providers and Cloud28+ Worldwide at Hewlett Packard Enterprise. CloudSigma and HPE’s collaboration offers a unique public cloud platform to IT service providers, data centers and telecommunication operators under the Cloud-as-a-Service model (CaaS). 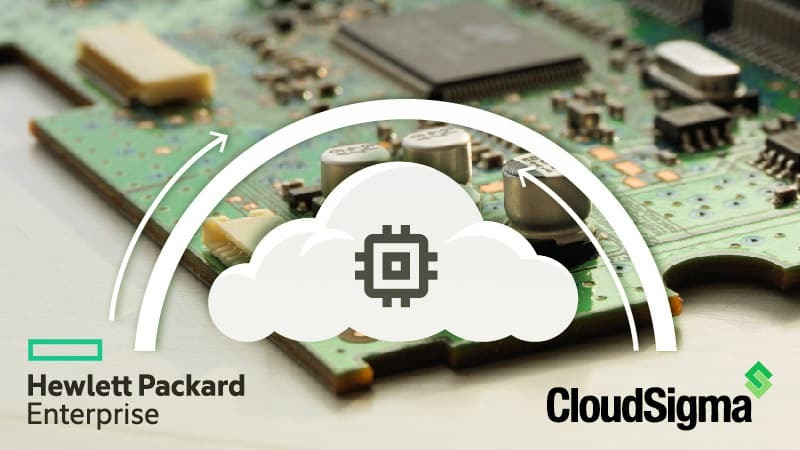 In order to do that, CloudSigma is empowering its cloud stack by deploying on HPE’s latest hardware, delivering a flexible service, armed with cutting edge innovations that deliver high storage capacity, drive security and reduce risk. In addition, this partnership provides various benefits for the IT service providers, data centers and telecommunication operators collaborating with CloudSigma and HPE. One key benefit is access to preferred pricing for reference architecture. All CaaS partners of CloudSigma benefit from highly discounted leasing payment terms which significantly reduce the initial investment in equipment, in line with CloudSigma’s two-year hardware replacement cycle. As a result, CaaS partners are given the opportunity to offer a highly performing public cloud service to their end users, backed up by CloudSigma’s powerful technology and HPE’s enterprise-grade equipment gear. Data centers, telecommunication operators and IT service providers joining the CloudSigma-HPE partnership that are delivering their services based on HPE technology are also able to leverage the business opportunities of the HPE Partner Ready Program. Members of the Partner Ready Program can take advantage of HPE’s market expertise in order to accelerate their growth, increase profits and create new value opportunities. By partnering with HPE, CloudSigma is able to deliver hybrid infrastructure to joint customers while driving growth for CaaS partners and HPE. A member of the HPE-sponsored Cloud28+, CloudSigma publishes its cloud services as part of the community’s business solutions catalog. With over 750 members and 26,000 services available, Cloud28+ helps unite customers with partners by focusing on matching workload and business needs to the right local expertise and support. A very successful example of the collaboration between CloudSigma and HPE is the recent partnership with Virtual Vision on the V2 Public Cloud which offers customers in Saudi Arabia a full suite of scalable capabilities ranging from advanced VM creation to high performance SSD-based and HDD storage systems. Offering worldwide connections at a low latency connectivity and providing a Telco-grade Cloud, V2 has ensured that networks and connectivity experience no delay in their provision as a one-stop-shop for cloud services.